Barbecue’s big flavors often call for a collection of robust sides. 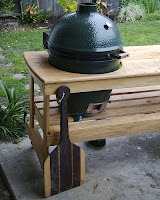 Often times a backyard cookout is accompanied by some cheap potato chips. Here’s a way to dress it up and offer a slightly healthier (baked) alternative. Sure you can buy pita chips in the store, but they tend to be small overpriced bags and not enough for small gathering. Go ahead and try to make these chips at home they’re super easy and we nailed it on the first try. 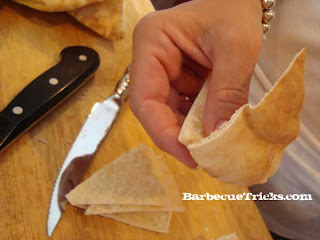 Cut pita bread in half, then cut each half into four triangles and separate each triangle. 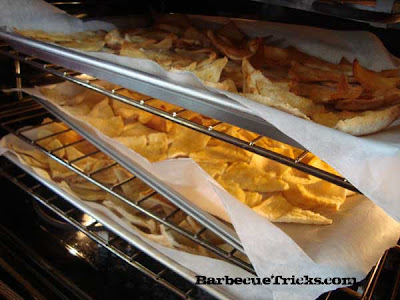 Place chips on baking sheets lined with parchment paper and brush heavily with olive oil. Flip chips and spray with olive oil spray. Drain on a paper towel and serve with your favorite dip!